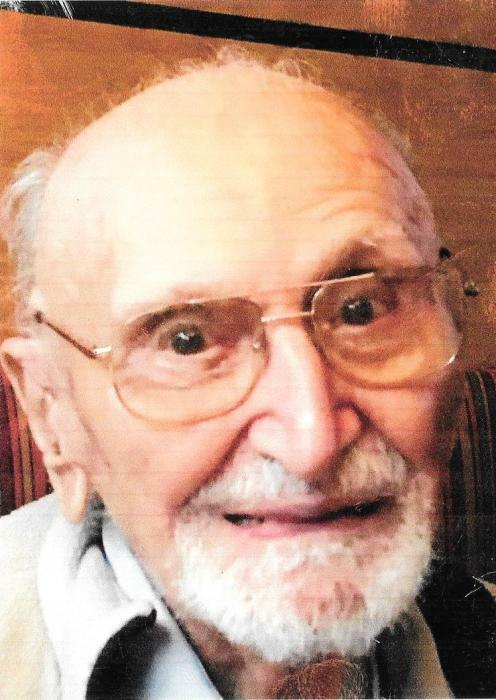 Michael Frank Mancusi, formerly of Piscataway, NJ and West Palm Beach, FL, 98, passed away peacefully on Wednesday, January 30, 2019 at the VA Hospital in Lyons, NJ. Born in Brooklyn, NY, he was the son of the late Alfonso and Maria (Benisatto) Mancusi. Michael enjoyed hunting, deep sea fishing and cheering on the Brooklyn Dodgers at Ebbet’s Field as a younger man. In later years he enjoyed attending church, traveling to Europe, and visiting with his family. He served his country honorably in the medical corps during World War ll. He is predeceased by his beloved wife of 52 years Anna (Jauch) Mancusi. He is survived by his son Michael Mancusi and his wife Lenore of Connecticut, daughter Blanch (Gamale) and her husband John of Brooklyn and son Peter Mancusi and wife Ellen of Piscataway. He is also survived by his eight grandchildren and eleven great grandchildren. Friends may visit the family on Saturday, February 2 from 4:00-7:00pm at the Sheenan Funeral Home, 233 Dunellen Ave in Dunellen. A funeral service will be held at 6:30pm with military honors to follow. Final interment will take place in Florida.